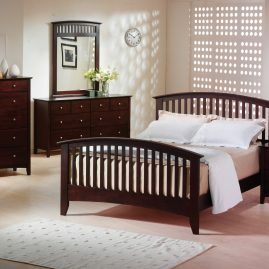 Clean lines and a trim square profile give this bed the versatility to coordinate with any style bedroom decor. 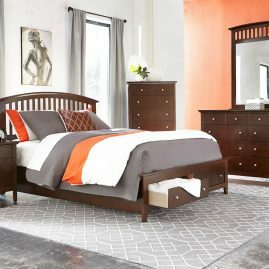 Design features include a square Parson’s style headboard silhouette, a low profile footboard, upholstered side rails, and angle black support legs. 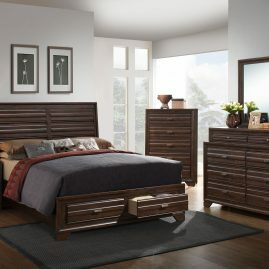 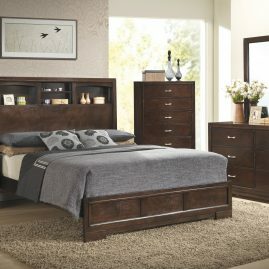 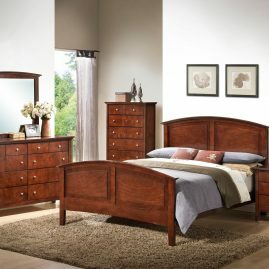 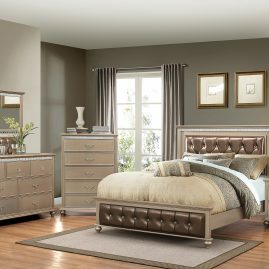 Design features include a fully upholstered frame with a square Parson’s silhouette headboard with topstitched panels paired with a low profile footboard.